Applying to NAC isn’t Hard. We will provide you with clear admissions requirements and information. We have programs for all students: students on F-1 visas, travelers from overseas, J-1 visa holders, citizens, permanent residents and other visa statuses. We can help all of you learn and master English. Enrollment requirements and available programs depend on your visa or residency status. Make sure you carefully read, prepare, and submit the required documents. Getting your I-20 is the First Step. An application — download your application form. Copy of your valid passport photo page. A high school diploma, college degree, transcript from university. A bank statement or financial guarantee to cover tuition and living expenses ($14,600 (USD) + $2,000 (USD) per dependent). Once you have prepared your documents you will need to email your documents to NAC and pay a $100 overseas processing fee. The processing fee is non-refundable. A bank statement or financial guarantee to cover tuition and living expenses ($14,600 (USD) + $2,000 (USD) per dependent). Note: If you have a sponsor you will need an Agreement of Financial Support – download form here. Official transcripts from your current U.S. school. A Transfer-In Form completed by you and your current SEVP School/Institution. Once you have prepared your documents you will need to email your documents to NAC and pay a $50 (USD) processing fee. The processing fee is non-refundable. Not an F-1 Visa Student? Good News, You Can Still Study at NAC! A copy of a valid photo ID. Once you have prepared your documents you will need to email them to NAC and pay a $50 application fee. The application fee is non-refundable. Here’s who can study at NAC part time: Citizens, permanent residents, J-1 visa holders, tourists and many other visas. Note: If you have a NAC I-20 you may take a part-time class in addition to your regular classes. Part-time classes do not fulfill your requirement to be a full-time student in the United States. An Application – download here. Once you submit your documents, we will review your application. Regina Kireva, from our Admissions department, will contact you with any questions and welcome you to our school. We will use this email address to confirm your application, and send you a receipt. We will refund all monies paid if your application is not accepted by New America College. Click here to review our policies and procedures. Have Questions? 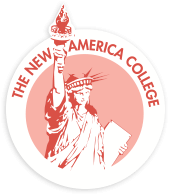 If you have questions about how to enroll at New America College you can contact Regina in Admissions by email at rkireva@newamericacollege.edu or by phone at 303-894-3195.